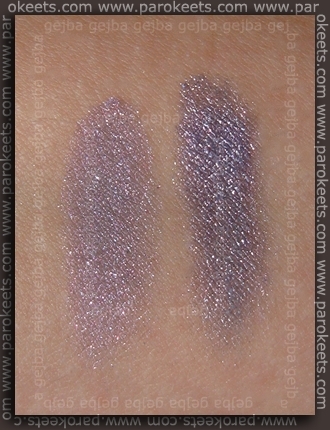 Sweetscents has two new eyeshadows – Hope and Pizzaz. We got Hope sample with our previous oder. 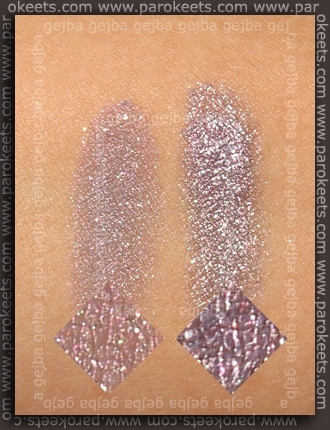 Hope is shimmery eyeshadow with light violet base and noticeable multicolored shimmer. Eyeshadow gets warmer hue when in sunlight. 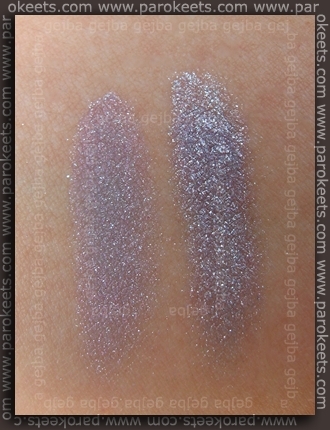 In closed space or in shadow, silver color starts to prevail and eyeshadow gets more lavender colored. 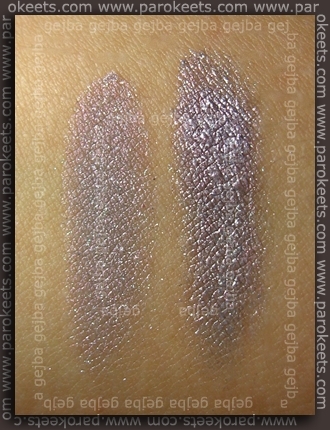 Like most of the shimmery eyeshadows it needs the base to anchor it to the skin. 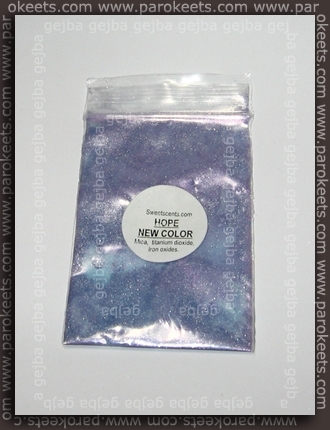 Pizzaz is a brownish medium color with burgundyish undertones. Its a low luster. I mostly use this eyeshadow as highlighter for evening make up. Next articleLet the age of Essie begin! Almost 40 year old skincare enthusiast with major crush on mat lippies and once upon a time had a crush on nail polishes. You can read more about me, my skin and all other preferences HERE. I’ll add it to another shade, since this one is almost invisible in the photo. :biggrin: Pretty shade of minerals. Will you use it as a EOTD?